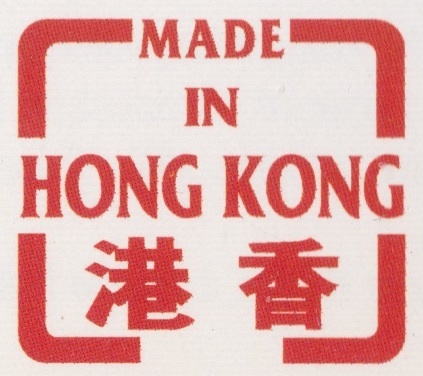 Way back in September last year I posted VHS Strikes Back, since then I've begun trying to pick up as many of the Made In Hong Kong label VHS releases from the early/mid 90's as I can find. 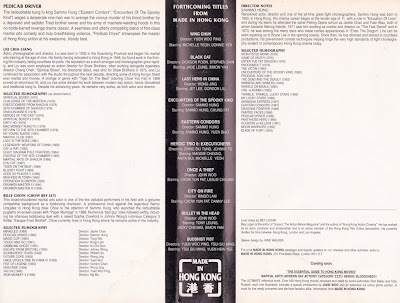 Not so much to play the tapes as in most cases superior versions of the movies are available on other formats (with a few notable exceptions, such as this very first entry), it's more about appreciating the fact this was the first label to treat Hong Kong movies with any degree of respect in the UK. 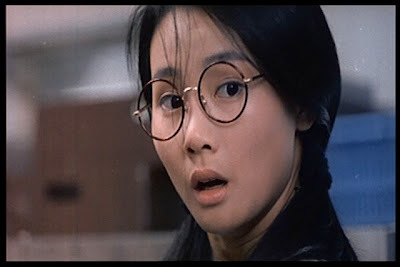 At this time you couldn't legitimately get the majority of these films here at all, and as hard as it is to think of a pre-internet time now, back then you only had the tape trading circuit to rely on unless you were lucky enough to live near a Chinatown rental store. Although a few of the M.I.H.K. 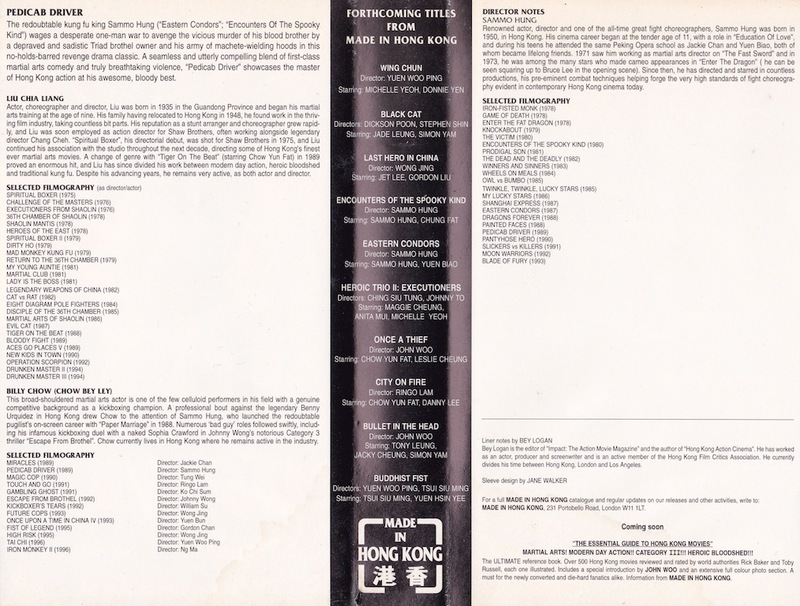 releases were cut by the BBFC, they were mostly in the original language with newly created subtitles, in the original aspect ratio and had liner notes written by the likes of Bey Logan and Rick Baker, all of which were a rarity for releases of any movies at this time, let alone Hong Kong cinema. I had many of these tapes when they were released but let almost all of them go when I moved onto the laserdisc and dvd formats, so there's a little nostalgia mixed in for that time period as well. All that aside, I thought it would be cool too! 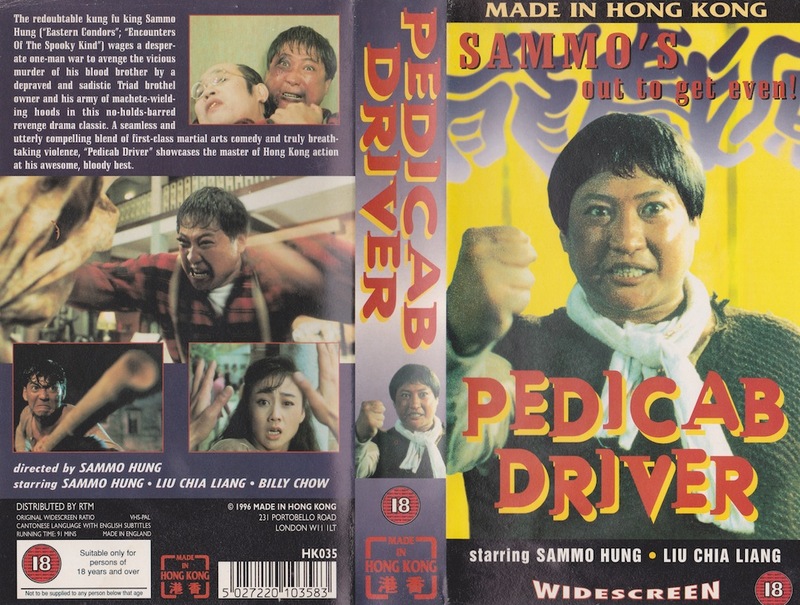 Saving the best for first, it's Sammo Hung's Pedicab Driver, a film that has been stuck in rights limbo for years that has no legitimate dvd release anywhere. A laserdisc was released in Hong Kong, but that disc is cut leaving this Made In Hong Kong VHS the best way to see this classic movie. The cover and liner notes are below, click them to see them full size. The tapes had catalog numbers and Pedicab Driver is HK035. Soi Cheang's Motorway was released on blu ray in Hong Kong by Mega Star, the disc is locked to region A, this is a shame as the blu ray is an absolutely stellar release. 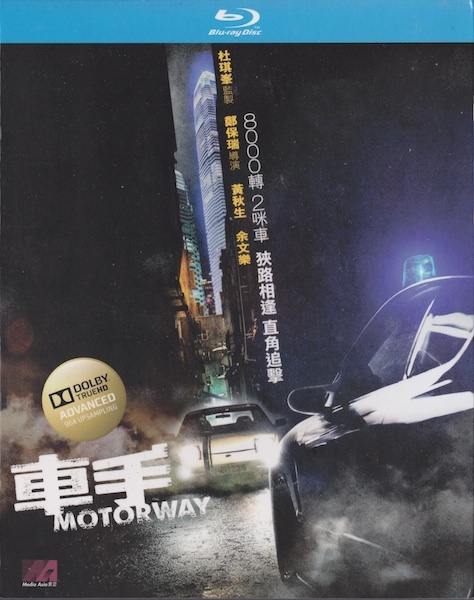 For owners of region B players, Arrow films have apparently bought the rights to release the film theatrically, no doubt with a blu ray to follow. On the video side of things, the film is presented in a 1080p transfer in it's correct aspect ratio of 1.85:1, and is as close to perfect as possible, with no digital tampering anywhere to be seen. 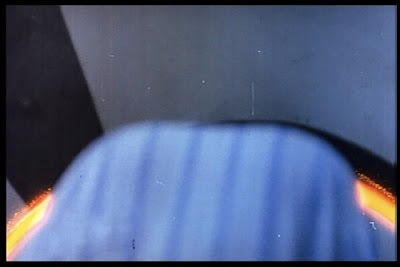 For a film with so many dark sequences, detail, colour and depth are simply superb. 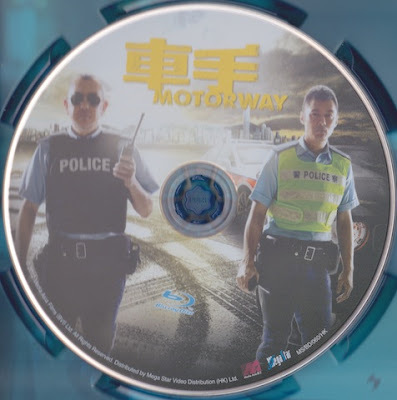 Moving on to the audio the disc presents three different options, Cantonese DTS-HD MA7.1 and Cantonese and Mandarin Dolby TrueHD 7.1 (96kHz 24 Bit) versions (For anyone interested in the 96kHz part click here). I tried both Cantonese options and to be honest I couldn't hear any difference, but then I doubt my ears are sensitive enough to pick up the subtle changes in sound. What I can say is that both options sound incredible, with excellent use of the surround channels and rip snorting dynamics careering across the soundstage. The film's score really benefits from the increase to hi-res sound. 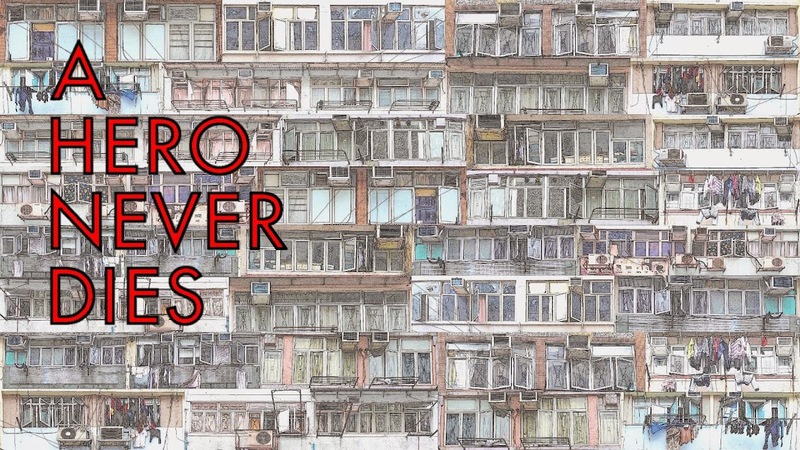 There are also three subtitle options, two chinese and most importantly for most readers here, a better than usual English option, with far fewer mistakes than we usually see. 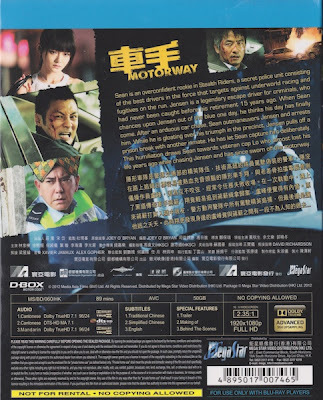 Extras include the trailer, a making of and a behind the scenes clip all in HD, but with the exception of the trailer they lack an English subtitle option. If you're a fan of the film and have a region A capable blu ray player, the Mega Star disc is a no brainer. 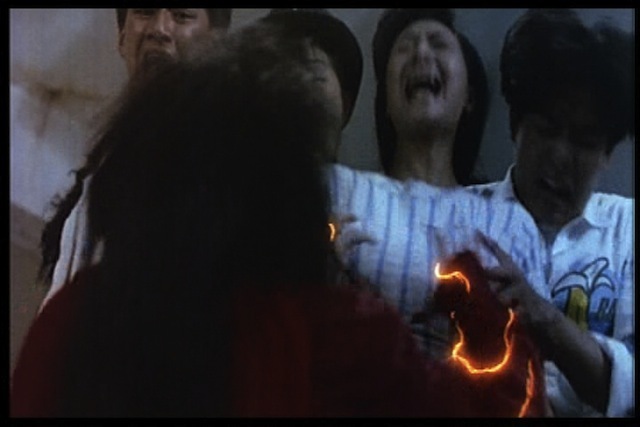 Easily one of the best Hong Kong blu rays I've had the pleasure to view, it's great to be able to praise a Hong Kong release for a change.